Yep, it's time to start thinking about gift giving! Guess what? We can make your gift giving simple. 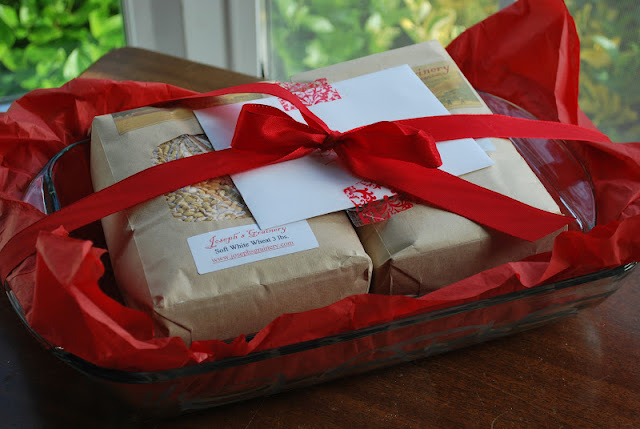 Just send our Holiday Gift Pack to everyone on your list...we'll ship it direct, so you don't have to wait in line at the post office! 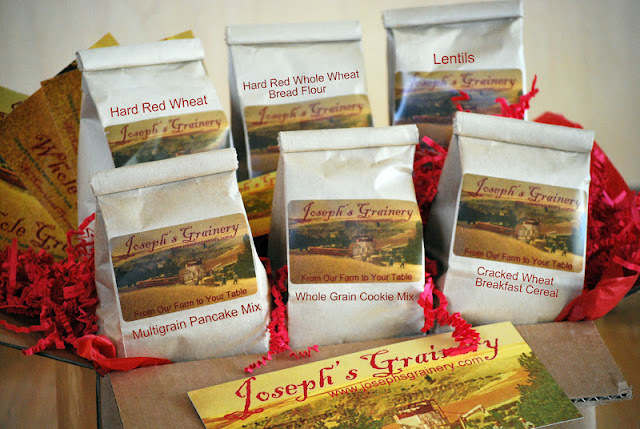 Joseph's Grainery Holiday Gift Pack - Send your loved ones our favorite whole grain products. 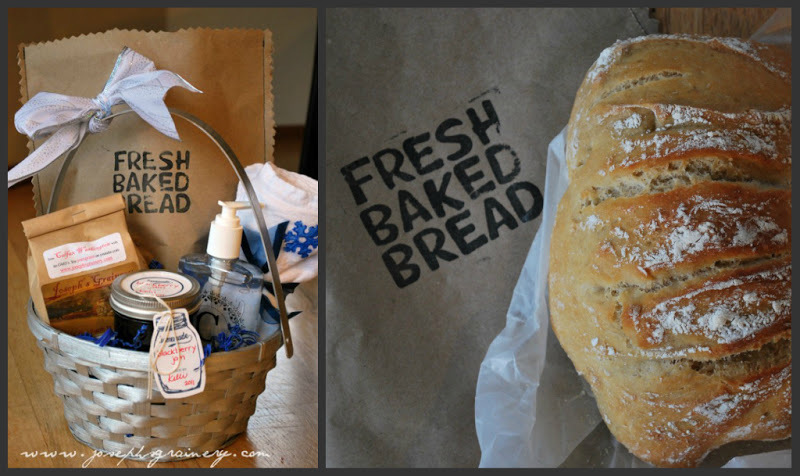 There's something for everyone in this gift pack. To order, simply click on over to our online store and select the number of gift packs you need. Just use the "special instructions" area to list all of the shipping address and we'll take care of the rest for you! 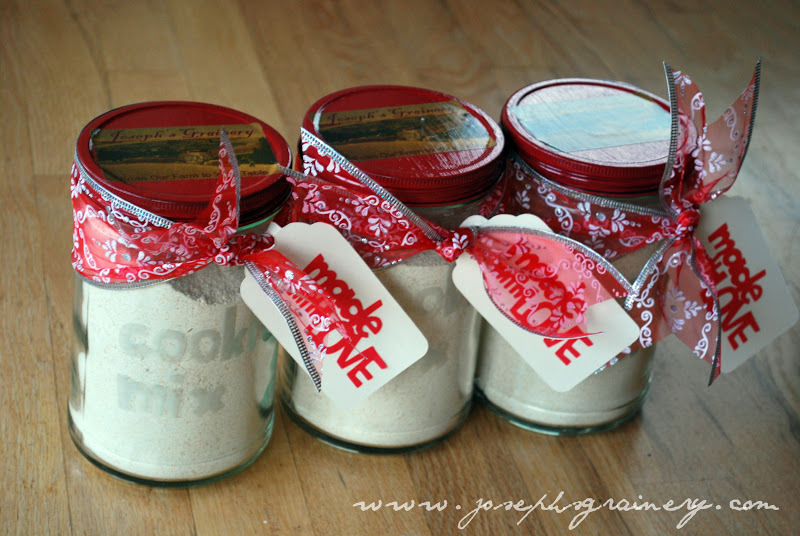 Fancy up some Whole Grain Cookie Mix - This post will give you the step-by-step instructions. Fresh Baked Bread - add a loaf of fresh baked bread to a gift basket full of other thoughtful gifts. Personalize a Pyrex - and add your favorite Joseph's Grainery Whole Grain products!